I was meeting someone but took a wrong turn when I saw El Antojo. 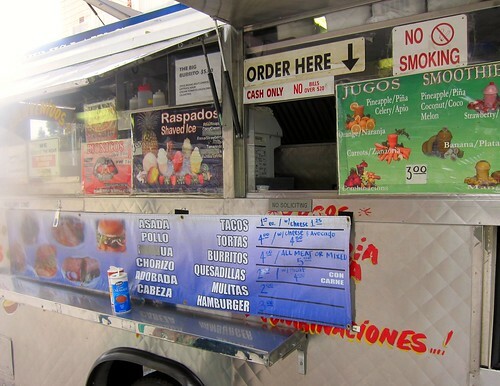 I was early and hungry and I remembered someone emailing me about a taco truck that parks near County USC. It was too good to pass up. I ordered carne asada, adobada, and chorizo. 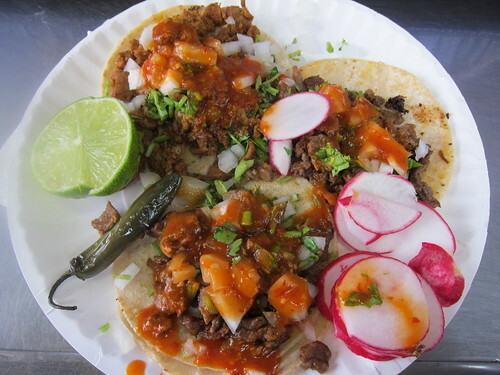 My tacos came garnished with onions, cilantro and a splash of salsa roja. The grilled serrano pepper was a nice touch. I expected a taco truck at this location to be a little pricier but these were only $1 each. Another pleasant surprise was the flavor. These tasted like Eastside tacos. The kind that taste better than they actually are after you’ve lubricating yourself all night. But I was sober and these were delicious. 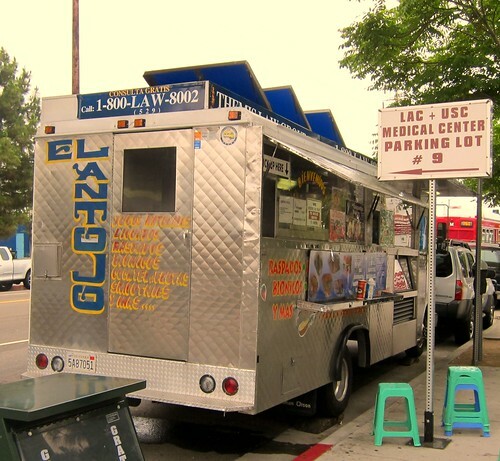 El Antojo parks in front of USC county hospital during the daytime. 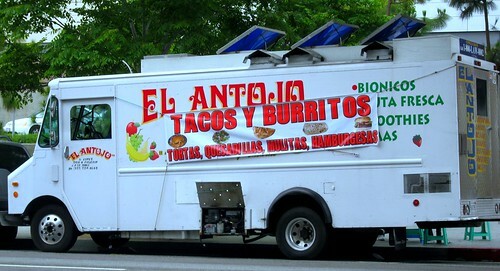 Would I drive out of my way for El Antojo? Probably not. But if I ever get checked into County USC someone is going to be making a taco run.